the love of my life,2. | escaped. the love of my life,2. 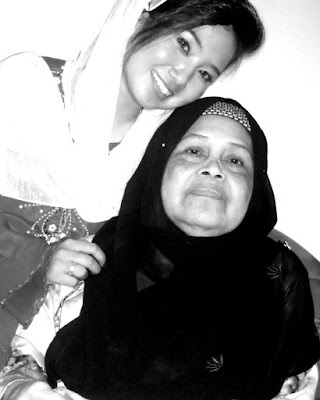 Today, out of the blue I don't know why I have this sudden urge to talk to my grandmother; whom I call Atok. I tried to ring her house phone number once, and twice, but the phone kept ringing. Nobody answered. I don't know why I just feel so upset; it was so weird because I've never felt like this before. When my mum doesn't pick up my call several times, yeah, I do feel like this but never with my grandma. All these time, I've never really had that special bond with my Atok. We are close, yeah, but just like other normal granddaughter-grandmother bond. It's not like I stay over at her house so often; in fact I rarely do so till at some point she would just call and ask me to help her do things - just to see me and spend some time with me. I'm such a terrible, terrible granddaughter. That's why today it feels weird, me being upset because I can't reach her. I love her with all my heart, and we do see each other every now and then when I'm back home but we never really share anything - unlike me and my mum. But when we meet, she'd treat me like I'm her only princess living in her castle, though the most painful part is I know I never did anything to deserve her kindness, except holding the title her granddaughter. Maybe this is what they mean when they say 'I miss you so much'. Because now I really, really miss her and need to talk to her. It would so much easier if we were back home. I can just call her up or make my mum send me to her house. Just thinking about it makes me so mad at myself because I rarely do so; things that I should've done when I can but I didn't.